Thank you for your interest in adopting a dog from SEGSP Rescue! This application is an expression of interest and not a commitment to adopt. ​Please answer all of the questions honestly and as completely as possible. This is designed to assist our team of volunteers in finding the perfect new family member for you! **Please note that we typically receive many applications for our dogs; our volunteers carefully review each one to make the best placement based on each dog's unique needs. **We are only able to adopt dogs in States where we have volunteer support: Alabama, Florida, Georgia, Mississippi, North Carolina, South Carolina and Tennessee. We also require a home visit prior to adoption. Please complete the following information about you and your home, so we can find a volunteer in your area who will be able to assist with a home visit. Please provide the physical address where the dog will reside. GSPs are great family dogs, but some are not suited for small children, other dogs, or small animals. Please tell us about your family. If YES, tell us about them including their ages. If you have other pets, please tell us about your other pets including breed, age, and spay/neuter status. 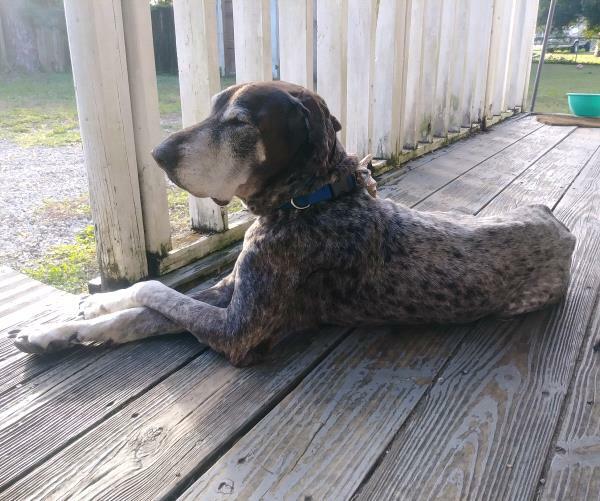 For example: Male GSP, neutered, 11 years old. GSPs are fantastic sporting dogs, but they also have high need to be with their people. Please tell us about your vision for your GSP as a member of your family. ​GSPs are high energy dogs requiring lots of training and exercise. Please describe your ability to provide both exercise and training. ​GSPs are curious and sometimes mischievous animals who can sometimes find themselves in trouble even under the best of supervision. We do require a vet check prior to adoption if you have other animals. Please tell us a little about how you plan to care for your GSP. GSPs can live to be 16 years or older! Therefore, searching for a new pet is a process that every pet owner should undertake with great care. Please tell us a little bit about your search. Thank you for taking the time to complete our application. Please enter your First and Last name and today's date indicating you have read our terms of adoption. The next step is to email the foster families of dog(s) that interest you. You can find our available dogs and their foster family information on the Available Dogs page.